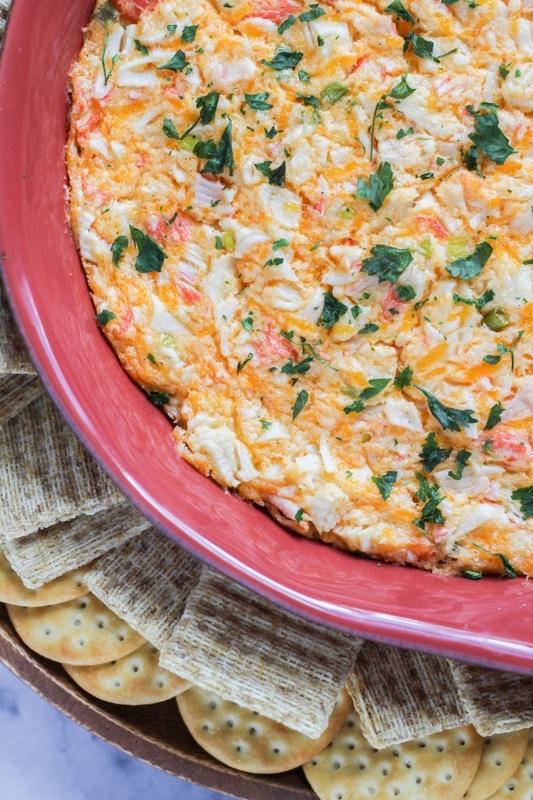 with a little bit of a kick, this dip is the perfect appetizer for your next tailgate or party! Everyone already knows how much I love football, so it can't be much of a surprise that I love to have a big spread for my family and friends on game day. Whether we are out tailgating or enjoying the game at home, the food is one of the most important parts! Easy appetizers and finger goods are a given on game day, but I also like to serve some warm dishes. Wings, sliders, nachos, those are all favorites of course. But how about a delicious, warm dip? 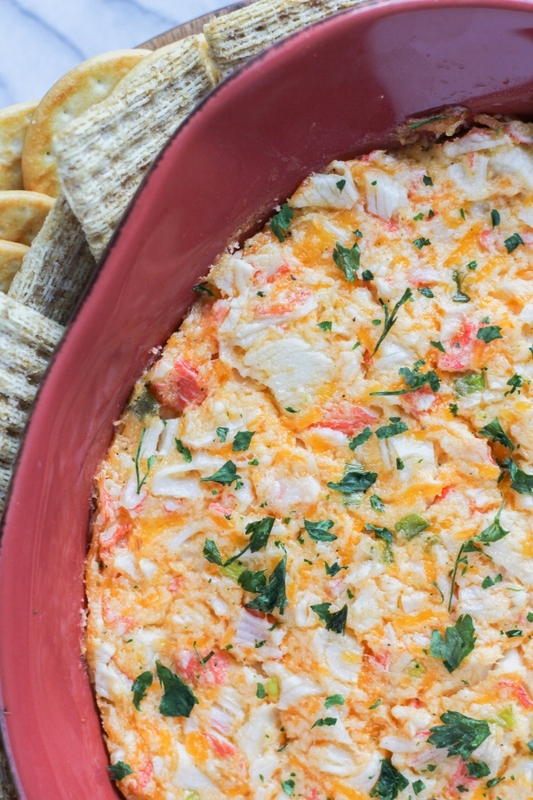 This Spicy Hot Crab Dip is rich and flavorful and looks pretty fancy, but it couldn't be easier to make! One bowl is all you need to mix this dip up, then one little casserole dish is all you need to bake it up. 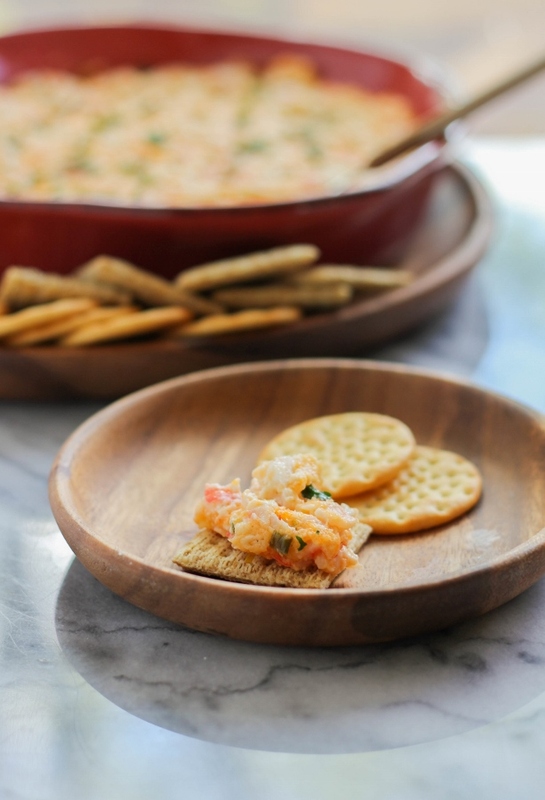 Served with crackers or even baguette slices, I guarantee this dip will be the first to get eaten at your next party or tailgate! Warm, cheesy, plus a little spicy kick, what's not to love? Crab can be expensive and I tend to save it for special occasions only. 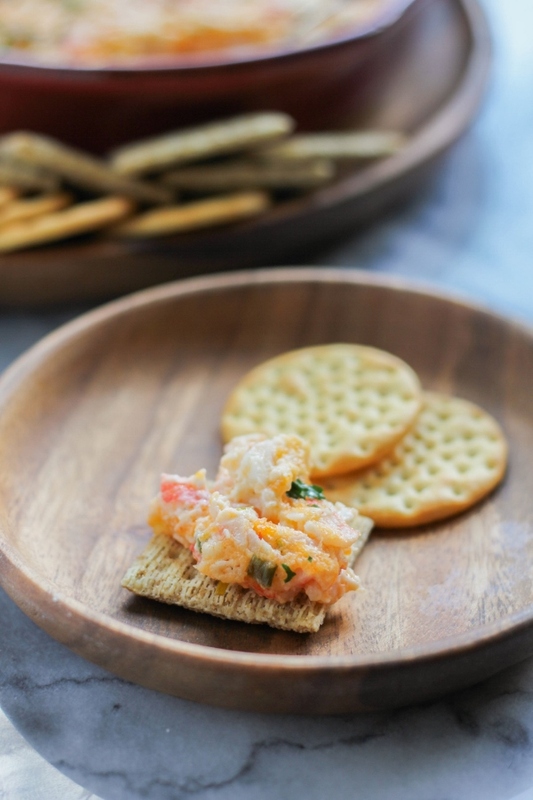 The good thing about this dip is it can be made with lump crab meat or imitation crab meat and it will taste just as good. Just ask my family - they wolfed down this entire dish without even realizing that it was imitation crab! 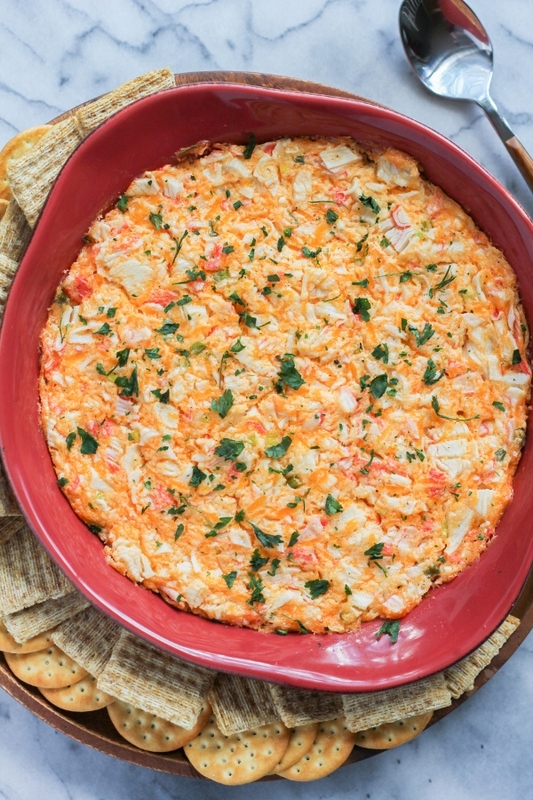 Do you have a favorite dip or appetizer to serve on game day? 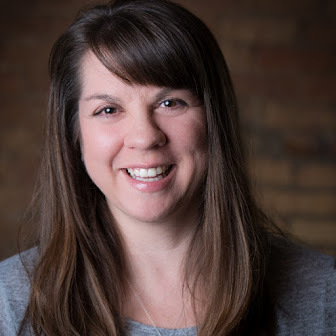 Share with me in the comments below! Preheat the oven to 350 degrees. Lightly coat a casserole dish with non-stick cooking spray and set aside. In a medium bowl, mix together the cream cheese and mayonnaise until well combined and smooth. Add in the garlic powder, salt, Sriracha, cheddar cheese and green onion and mix well. Gently fold in the crab meat. Transfer the mixture to the prepared dish and bake for 30 minutes, until hot and bubbling. Remove from the oven and sprinkle with the chopped parsley. Serve warm with crackers. 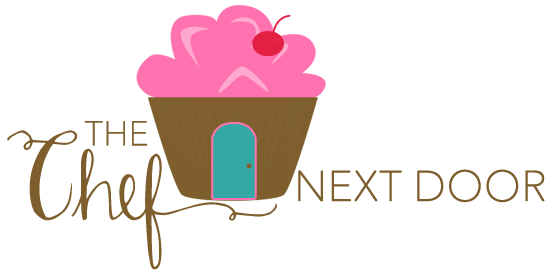 I'm honored to be a Milk Means More Ambassador and I thank them for sponsoring this post! I was compensated for developing a fun "Dips and Spreads" recipe, however all opinions, as always, are my own.